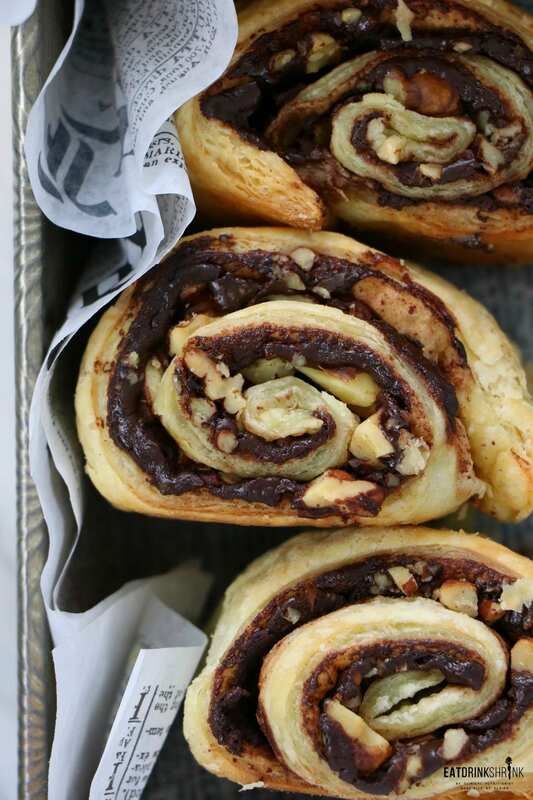 4 Ingredient Vegan Dark Chocolate Strudel with Toasted Nuts - Eat. Drink. Shrink. While my daily go to’s for breakfast are avocado toast and fresh fruit, I love a good indulgent brunch concept. Lately I’ve been obsessed with the perf vegan muffin or working with pastry dough as both are just so easy!! 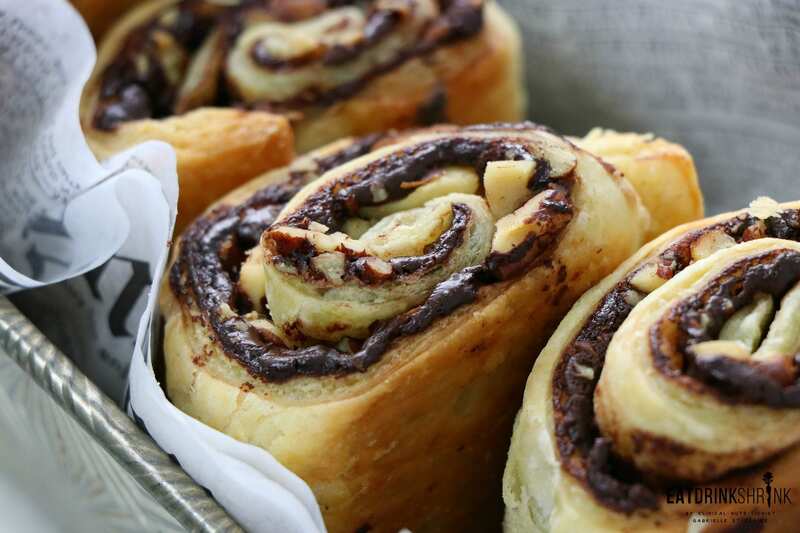 Making pastry dough from scratch is very involved and can be a true nightmare. In a culinary course at NYU we made it from scratch and it was just so tedious. That being said, I was curious as to whether the store bought options ironically were vegan. Low and behold, a few years ago I discovered.. they are!! 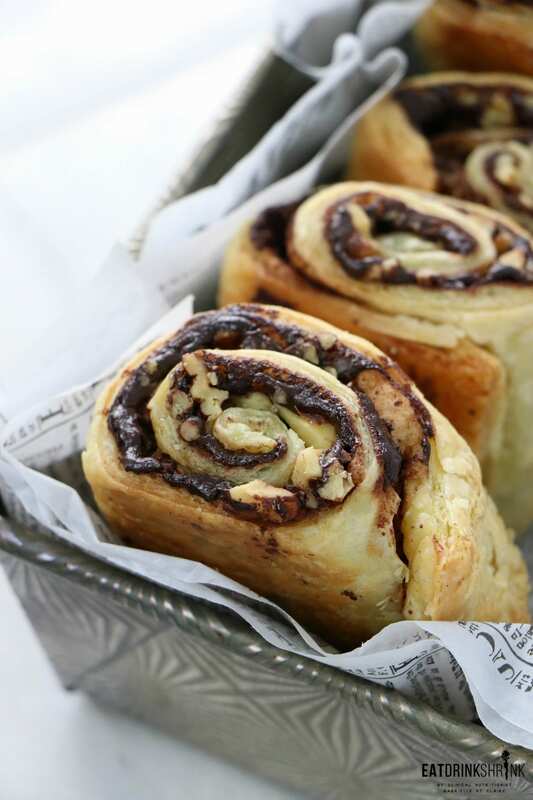 Frozen pastry dough is accessible and affordable, the options are endless as to what you can do with it and it’s guaranteed to make you look like a pastry chef in minutes!! What’s fab about the strudels, is everything! 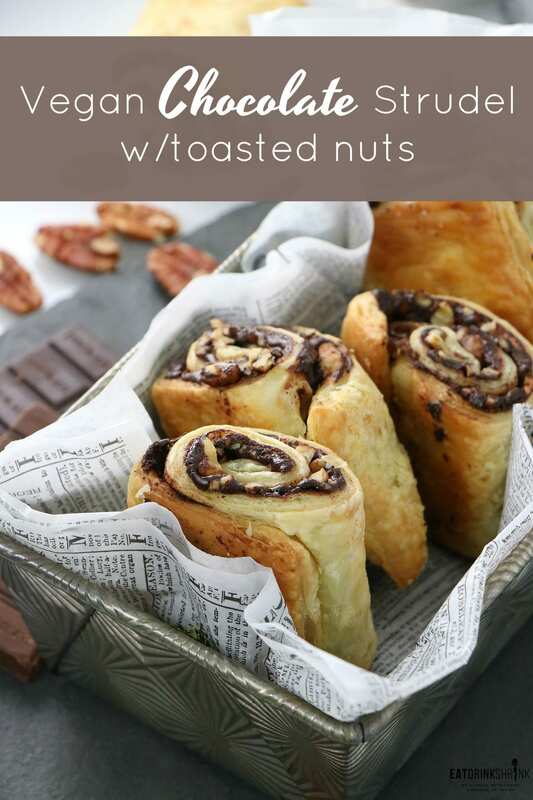 It’s quick, easy, has minimal ingredients, can easily be made in bulk, rich with chocolate, filled with toasted nuts, perfect for any season, perfect for brunch entertaining, can easily be made in bulk, and you can make in advance by baking the entire thing and slicing later!! 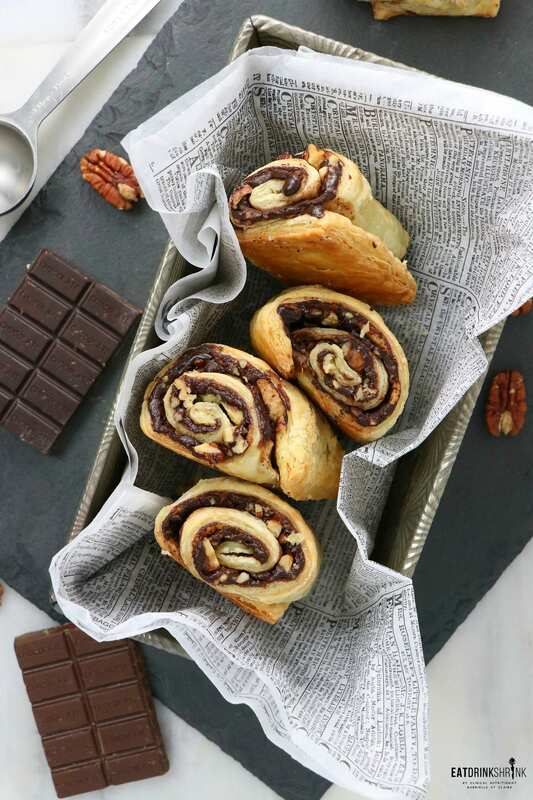 If you love fresh modern vegan concepts or all things chocolate you have to try my recipe for vegan Dark Chocolate Strudels with toasted nuts!! Preheat oven to 375 degrees. Spread the nuts on a pan and toast for 5 minutes. Allow to cool and then chop. Microwave the dark chocolate and coconut oil for 30 seconds, stirring every 15 seconds to prevent burning until fully combined. 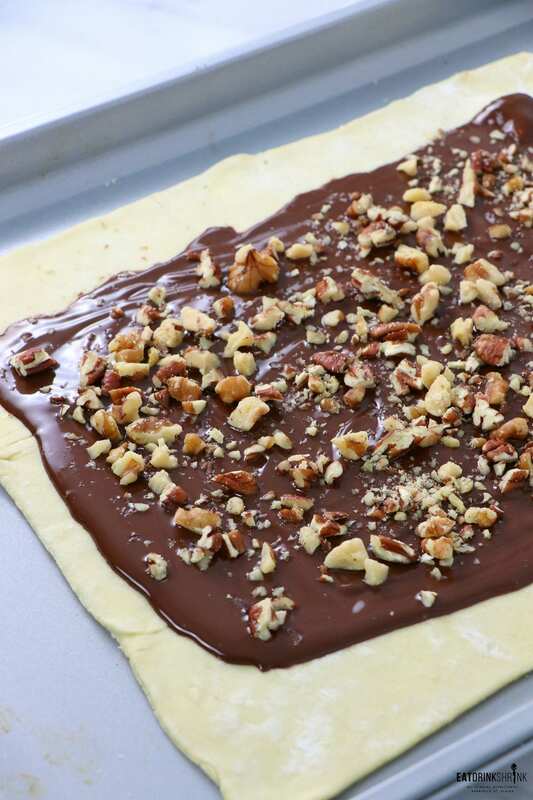 On a lightly floured surface open up the puff pastry sheet. 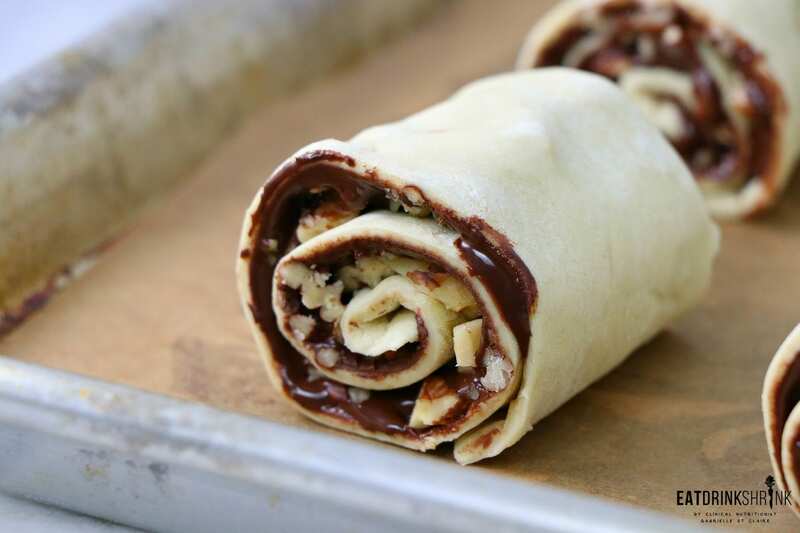 Spread on the chocolate to about 1/2" from the edge, keeping those bare so the roll will stick together. Sprinkle on the chopped nuts. Slice 5 strips, and begin to roll up each. 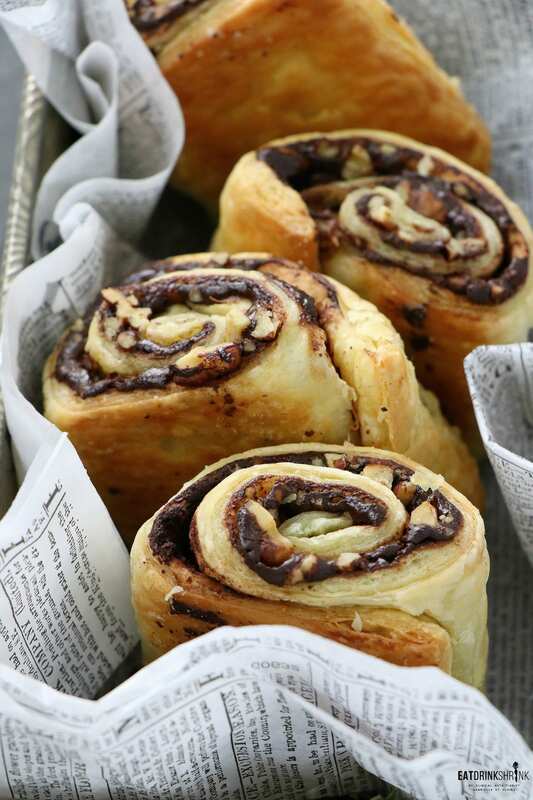 You can also roll up the entire thing, jelly roll style, and make slices. 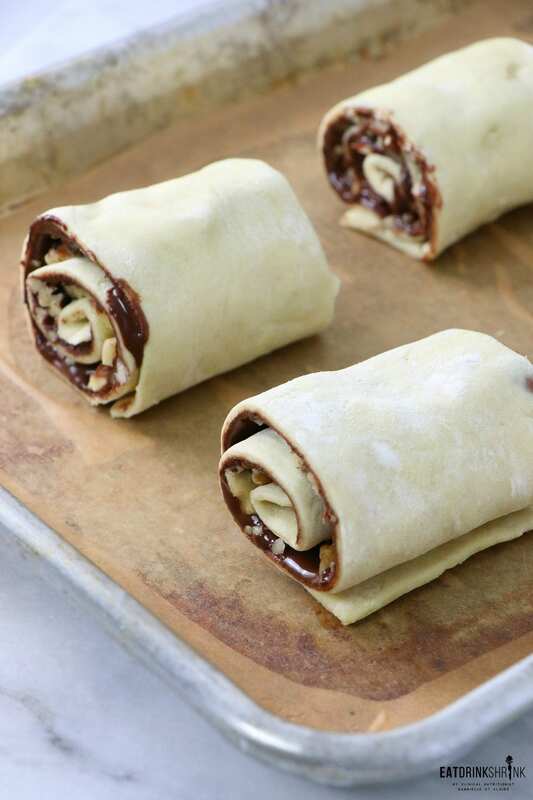 You can also place seam side down bake the entire roll (make a few slits on top) and slice after, it's whatever you prefer! Bake at 375 degrees for 20 minutes. 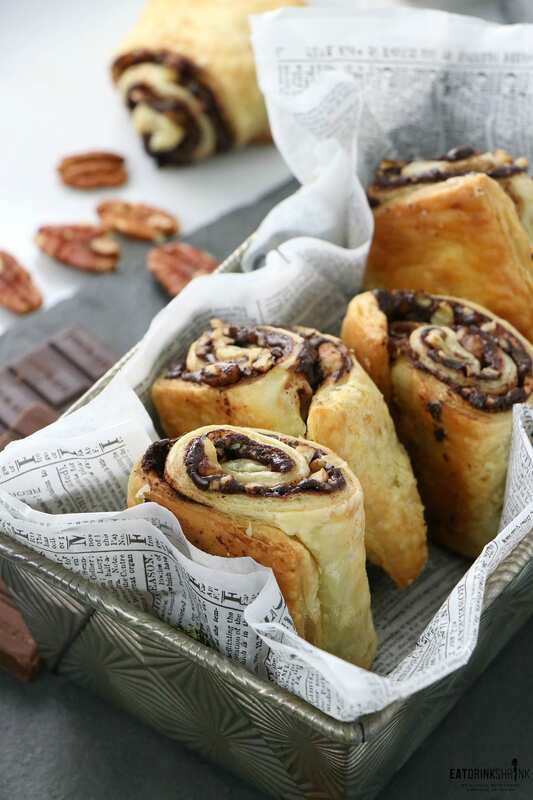 If the chocolate seems as though it's drying out or they are burning simply cover with an aluminum foil tent.